Ramipril is an angiotensin-converting enzyme (ACE) inhibitor, used to treat high blood pressure and congestive heart failure. Susceptible patients over 55 years: prevention of heart attack, stroke, cardiovascular death or need of revascularization procedures. Renovascular disease (impaired blood flow in the kidneys), severe renal impairment (especially in patients with one kidney or with bilateral renal artery stenosis), volume-depleted patients, history of angioedema while on an ACE inhibitor, pregnancy, hypotension. Serious allergic reactions to this drug are unlikely, but immediate medical attention must be sought if they occur. Symptoms of a serious allergic reaction include, but are not limited to a rash or swelling of the face, mouth, tongue, or throat. In extreme cases, ramipril may lead to potentially fatal liver problems. Letter codes & icons may differ. ACE inhibitors, as the name suggests, inhibit the actions of angiotensin converting enzyme (ACE), thereby lowering the production of angiotensin II and also decreasing the breakdown of bradykinin. The decrease in angiotensin II results in relaxation of arteriole smooth muscle leading to a decrease in total peripheral resistance, reducing blood pressure as the blood is pumped through widened vessels. Its effect on bradykinin is responsible for the dry cough side effect. Ramipril, a prodrug or precursor drug, is converted to the active metabolite (metabolic product) ramiprilat by liver esteraseenzymes. Ramiprilat is mostly excreted by the kidneys. The half-life of ramiprilat is variable (3–16 hours), and is prolonged by heart and liver failure, as well as kidney failure. Well its been a month since I saw the doc last, at that meeting my Bisoprosol, Atorvastatin and Bendroflumethiazide were all halved due to the weight loss and fitness levels. So I went with a little trepidation, my blood pressure has remained at the low end of normal for the last month so I wasn’t expecting an increase in medication. Atorvastation stays as is (20mg) pending blood tests in 2 weeks time. If cholesterol levels are acceptable then the statin will be reduced to 10 mg and a further experimental period will start. Aspirin – taken prophylactically, extra fitness and weight loss greatly reduces my risk of heart attack or strokes – so left to me to decide whether to take it or not. 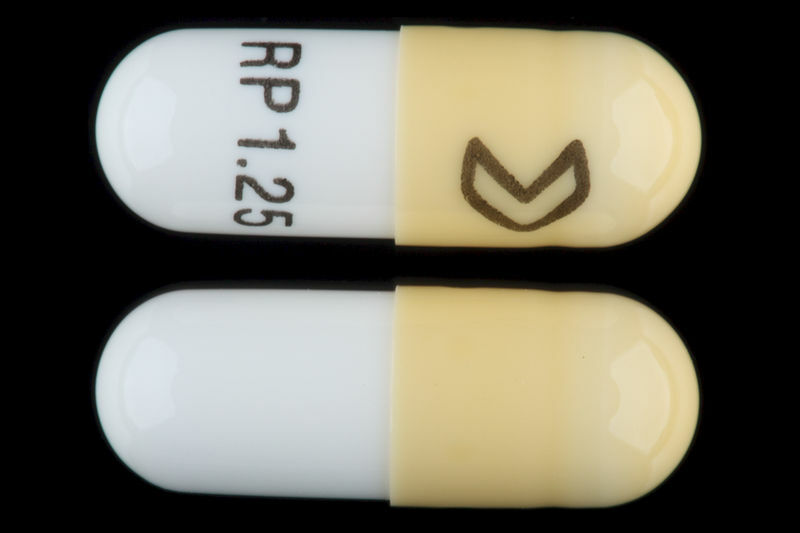 Lanzoprazole – taken to protect stomach from aspirin, so if that goes so does this one. Aspirin/lanzoprazole combo, hold decision for one month to better monitor the effects of the change to bisoprosol and await blood results, also allows time for some research into the use and effectiveness of aspirin. When I was first sent to chest pain clinic I was put on beta blockers, ace inhibitors, calcium channel blockers, aspirin, statins, lanzoprazole, GTN spray, and pain killers (8 a day) I felt worse after the medication than I ever did with the pains. I couldn’t drive, I had to sit at home for two hours after taking the meds before I could go to work, then I was dopey all day. When i complained to the doctor he more or less told me to stop whining at least I was alive! But I had no quality of life so I started researching my ‘conditions’. NICE was a brilliant site where all research papers could be found, advice to government and GPs re efficacy of pills. I went back and insisted that the cocktail was changed and it was. I felt better by a factor of about 200%. Eventually i felt normal again so I dropped the blood pressure pills – BIG MISTAKE! Within a week I had a TIA (mini stroke) a blood clot in my neck which had to be tracked and busted, and was admitted three days after this with severe chest pains. Really folks – NEVER EVER just stop taking this stuff it can KILL you. Just what I had wanted but not expected, half my pills were halved and I now have monthly reviews to cut or otherwise modify the regime I have been on for years now! These are the medicines. You can do it too, it’s not easy but it is simple.